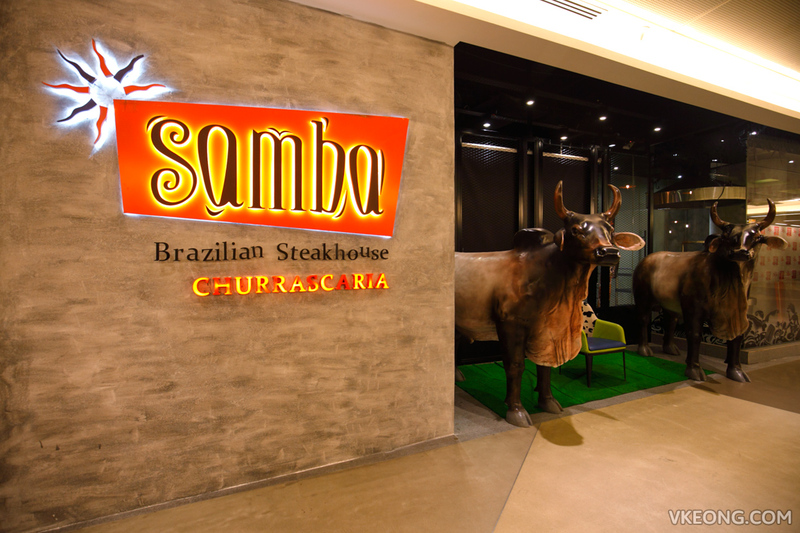 Samba Brazilian Steakhouse is one of the few surviving restaurants on the 3rd floor of Avenue K shopping mall. 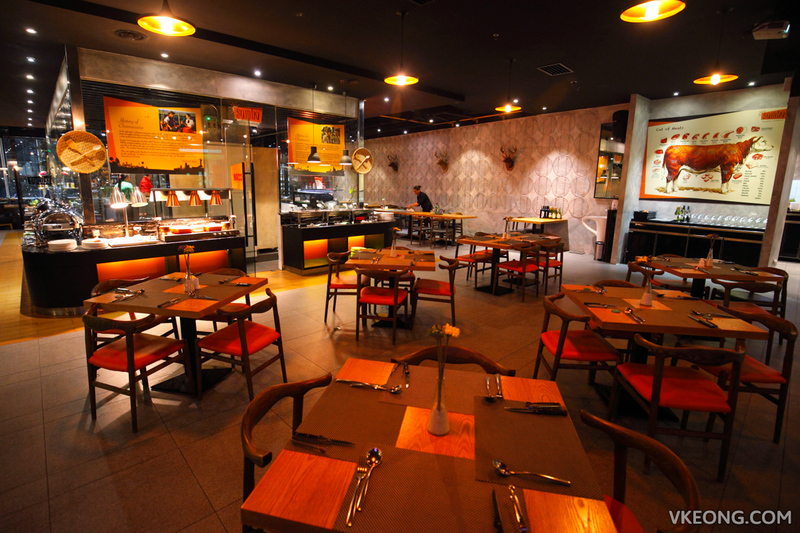 It’s a churrascaria that serves eat all you can barbecue with more than a dozen types of meat. Drinks are not included and need to be purchased separately though. 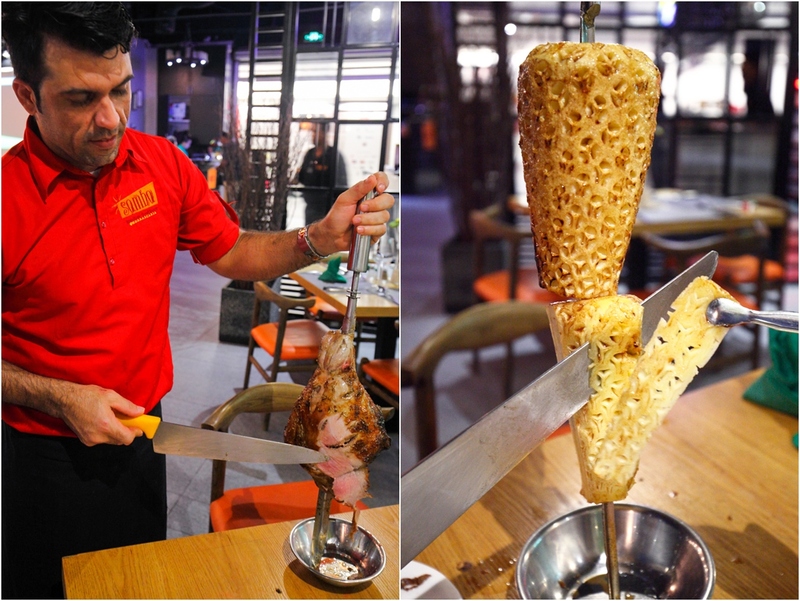 All the grilled items will be served at table side so all you need to do is pick up the mini tong to grab the sliced meat. 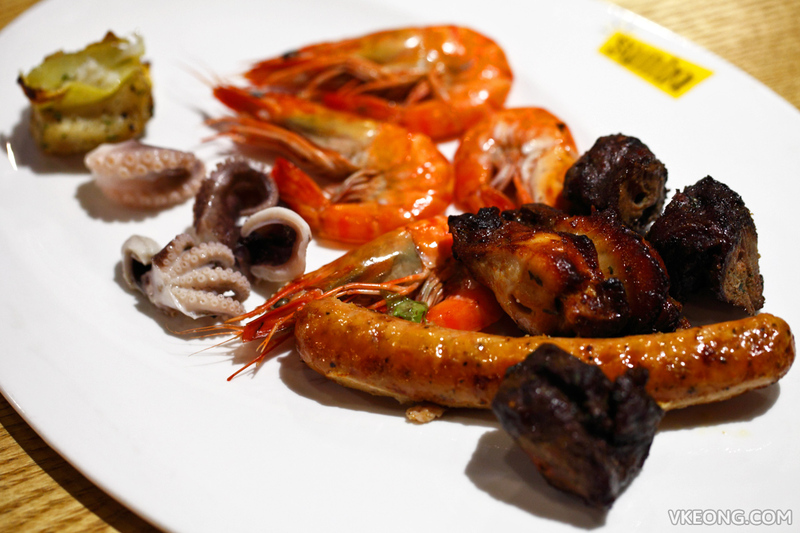 The staff will start your meal with grilled chicken wings and sausages, followed by seafood then meat. You can take as many slices as you want but my advice is to take it slow, because they taste a lot better warm. That said, you don’t necessarily need to have what they bring to you, you can actually request for a specific meat or seafood you fancy. There’s also a buffet table for salad, sushi and sashimi, cooked food, chilled seafood and dessert. 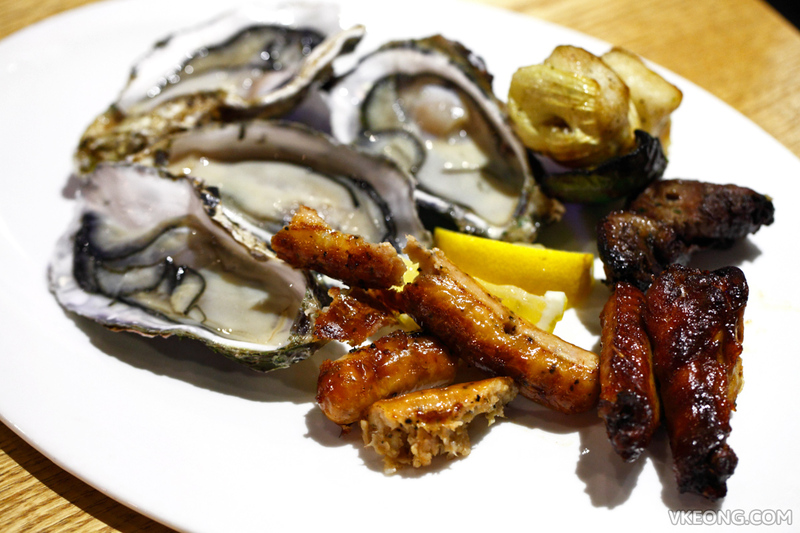 We only tried some chilled seafood like oysters and prawns and did not bother about the rest. 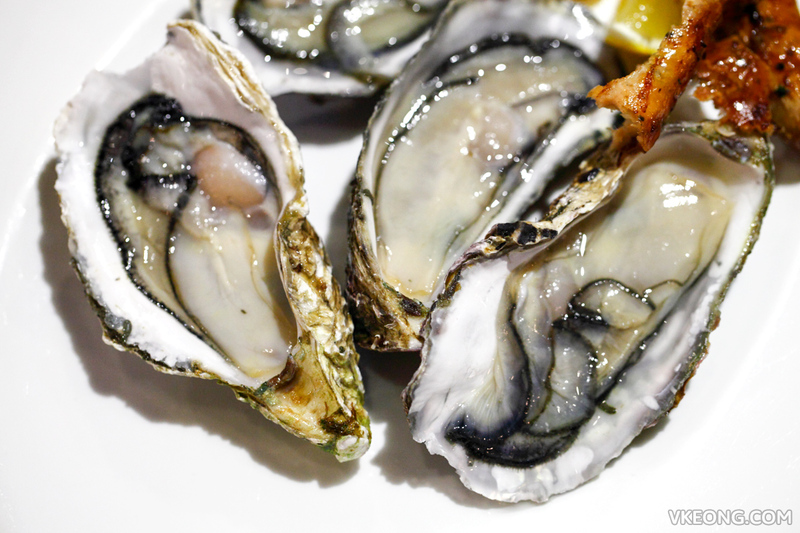 The oysters and prawns were as good as what you would get at the normal hotel buffets. As for the barbecues, everything we had tasted good and we particularly enjoyed the lamb, bacon-wrapped prawn, sirloin, duck, cheese crusted beef and black pepper beef. The only time we did not enjoy the meat was when we got the outer layer which was cooked either to a medium well or well done. So if possible, always ask for the rarer parts which are juicier and more tender. Despite having read some bad comments about the service here, fortunately we did not experience any issue with the staff. For those who feel the normal price (RM95 nett weekdays, RM119 nett weekends) is too steep, use Eatigo to make a reservation. From what I see, there’s always a 50% discount if you come between 9pm and 9.30pm.